A large portion of the City, extending from near the fairgrounds to near McDonalds in Okoboji, is included in what is known as DD #22. 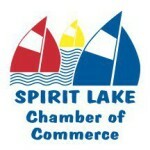 This district is a separate drainage area that was once governed by the County but now is under the jurisdiction of the Spirit Lake City Council. The District was originally established in 1914 when it was primarily agricultural land. The District encompasses 1,790 acres that is quickly becoming urbanized. The City assumed control in the early 2000’s when large improvements were made to reduce flooding. The district has 12 storm water detention ponds and numerous ditches and pipes to transport water. The ponds all have reserve capacity to hold storm water and release it slowly. Some have adjustable outlet structures. The district manages water flow and reduces the negative effects of urban development within the watershed. The cost of the improvements and on-going maintenance is paid from assessments. The City Council has made numerous improvements to the district in recent years, as well as continued maintenance and repairs. 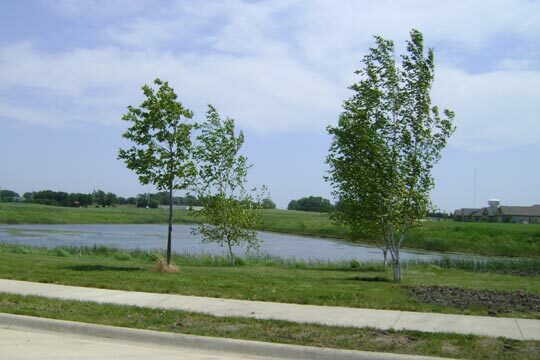 Some of the recent major improvements include: enlargement of the pond at 36th & Pinewood, improving the ditch along the bike path from 28th to 36th streets, and a new tile line serving the Brooks North area in Okoboji. The City also has municipal drainage (or storm water management) facilities throughout the city, including within DD #22. These are primarily storm sewers and street intakes. These municipal systems are financed by regular City tax revenue. For more information on DD #22, contact City Hall at 712-336-1871.